Braun 760cc Pulsonic 7 series shaver gives a nice, precise shave to the user with a compressed, beautiful black and silver designed shaver unit. The Braun shaver comes with three separate modes in order to shave your face. This Braun shaving unit is really good for flat, tiny hairs that become so hard to grab with cheap shavers, so that you can have a clean and smooth shave. Like the other units in this category, there is also a different unit that will clean, dry, lubricate and charge your shaving unit. The German brand Braun has always been known for creating firm, long-lasting electrical devices and is treated as best electric shaver brand. The Pulsonic 7-760cc by Braun has been created by their latest technology experts, equipped with a linear motor. In one stroke, more than 10,000 micro-vibrations are capable of grabbing hairs that may even be hard to reach for other shavers. After you finish shaving, you could place your shaver into this system called the Braun Clean & Renew System. It cleans, greases and dries the shaving unit. When the cycles are over with, it will also charge up the shaver. The only trouble with this shaving unit is that this cycle of drying could take a bit longer. When the shaver is done charging, you should remove it from its unit, then let it dry in the open for about an hour. This shaver is completely waterproof, so you could rinse it right under the running tap as well if you didn’t want to put it in the cleaning system. Although much of the price of this unit is due to the cleaning unit, it is completely up to you on how you want to clean it. Therefore, if you prefer buying a charger only, leaving out the entire cleaning unit, you would do best to invest your money in a different shaver. Many customers tend to wash and clean their shaving units according to their usual systems, not using the attached cleaning units. For the men with beards, the best Braun shaver also comes with a long hair, precision trimmer. This system will prove to be really good if you want to keep your beard, moustache and sideburns at their best look and length. Each of these three styles are really easy to keep if you use this trimmer right. The “triple action cutting system” guarantees that both short and long hair can be trimmed as easily as imagined. This electric shaver has three separate modes, so that you could modify the shave you want on your face. There is normal, intensive and extra-sensitive modes. Normal mode will shave your entire face the typical way. Intensive mode gives you a really deep and clean shave. Extra sensitive takes care of the little perks with your skin with real care and precision. You could use whichever gives you the most comfortable and suitable shave on your skin. The Braun linear foil shaving unit has been designed for shaving sideways and it maneuvers all across your face. 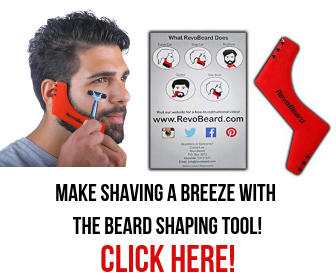 These maneuvers are opposed to the typical circular movements people use to shave and you could use it instead of the traditional circular movements of those circular shavers. Most of the men prefer one specific type over another. There is a foil inside the shaving unit that has been designed to protect your face from irritation and burn. However, you are free to use shaving cream, lotion or water when you use this shaver. If you want the latest shaving kit then you can check Braun series 9 review which has the two best shaving cream kits – Braun 9090cc shaver & Braun 9095cc shaver. If you are more comfortable with linear shavers over the rotary style ones, the Braun Series 7-760cc Shaver will provide you with a clean and smooth shave for your skin. The only tiny issue with the system would be the cleaning and charging process of the unit. It can leave the shaver a little bit damp when the cleaning cycle ends, but you can easily deal with it by taking it out of the unit and letting it dry in the air. You would see that by morning, your Braun 760cc shaver would be ready to reuse. 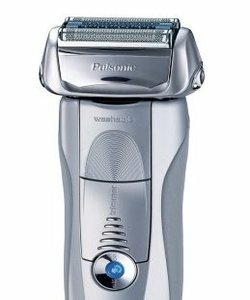 Previous story Remington MB-200 Review – Should you Buy this Trimmer?